196 pages | 33 B/W Illus. This book investigates the successes and failures in consolidating those democratic regimes that emerged in Europe and Latin America in the last quarter of the 20th century. discusses general methodological issues involved when investigating causally complex claims in comparative social research and presents fuzzy set Qualitative Comparative Analysis (fsQCA) as a valuable addition to the methodological tool kit of comparative social scientists. 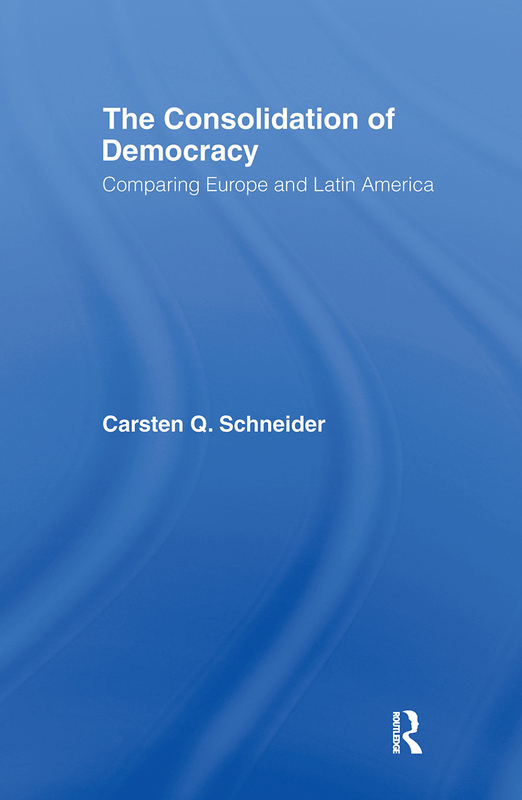 This innovative and important volume will be of interest to political scientists, particularly those with an interest in democracy, democratization, comparative politics and comparative methodology. Carsten Q. Schneider is Associate Professor and founding Director of the Center for Study of Imperfections in Democracy (DISC) at the Central European University (CEU), Budapest, Hungary.